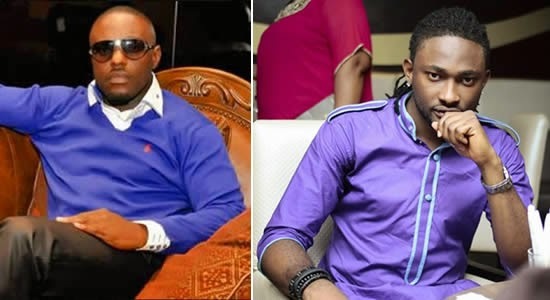 Uti Nwachukwu has apologized to Jim Iyke over what he has described as an 'insensitive joke', he recently made about the Nollywood actor. On May 6, 2015, 'Jara' host, Uti took to his Instagram page to share a video of himself and co-host, Helen Paul, cracking a joke about the relationship between Jim and Ghanaian actress Nadia Buari. Jim who didn't find the joke funny, reportedly threatened to 'kill' Uti. Uti has however apologized to Jim, and deleted the controversial video. "My sincere apologies to one of the greatest Nollywood icons of our time. @jim.iyke .. I'm sincerely and deeply sorry for the insensitive joke/post made yesterday. "As one of my favorite and most respected actors I will never set out to intentionally disrespect you brother. Using the insert from Jara was my own friendly way of reaching out and once again I'm sorry for being insensitive especially at the special period. Rest assured it won't happen again. "Please accept my unreserved apologies. Like I said you are one of the few that actually inspire and motivate people like me to be better and work harder. Abeg nor too vex for me bro. I Troway salute," the BBA star wrote on Instagram.